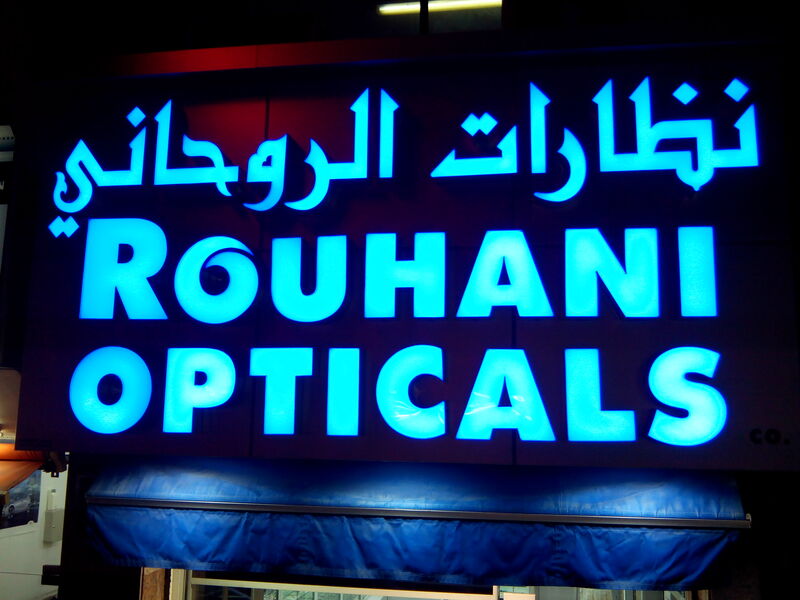 Rouhani Optical, a family owned and operated business was established in Dubai, U.A. E in 1963. Over the years we have been driven by the rapidly expanding ophthalmic field, and the need for a dependable eye care service center locally. In 1963, Rouhani Optical revolutionized the way people purchased prescription eyeglasses. Now, over 50 years later, Rouhani Optical is still providing the full-service experience our customers know and expect. Our mission since our inception has been to provide our customers with a variety of the highest quality products available, at affordable prices, delivered with superior and courteous service. Your eye care needs are important to us so we constantly strive to improve our products, machinery, staff and showrooms. Our product mix is a reflection of the changing optical industry, our customer's feedback, and emerging fashion styles and customer taste. We set our own high standards of excellence and stick to them. Our success over the years is judged by the response of our customers. We take great pride in our years of experience. We get better every day when we listen to your eye care needs. Low prices, personal service, and fast delivery are more than a business philosophy at Rouhani Optical Co. It is a way of life. Visit us today and let us demonstrate to you our commitment! In addition, we pride ourselves in being a leader in the industry for giving back to the community. Every year we support the educational endeavors of under privileged students at schools in U.A.E, Brazil, Haiti and India. 24/7 Online store with free delivery in U.A.E.